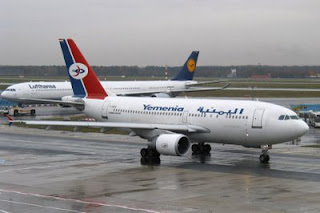 30 June 2009; Yemenia Airlines; A310-300; Flight 626; near Moroni, Comoros Islands: The aircraft was on a flight from Sana’a, Yemen to Moroni, Comoros Islands with 142 passengers and 11 crew on board. Early reports indicate that the aircraft crashed in the sea near the town of Mitsamiouli, which is on the main island of Grande Comore, in the early morning hours of June 30th. Some bodies have been spotted, as well as some wreckage of the plane located. One passenger, a twelve-year-old girl named Bahia Bakari, was rescued about 10 hours after the crash, and is the sole survivor of this plane crash, one of 13 sole survivor events since 1970 that have been identified by AirSafe.com. The nation of the Comoros Islands is an archipelago in the Indian Ocean off the east coast of Africa, between northern Madagascar and northeastern Mozambique. The last fatal plane crash in the Comoros Islands was the November 1996 crash of a hijacked Ethiopian Airlines 767. Yemenia Airlines has been in operation since 1961 and has no previous fatal plane crashes. Two previous serious incidents did not result in any serious injuries. On June 26, 2000, a 737 departed the side of the runway during a landing in Khartoum, Sudan, and the nose gear collapsed. On August 1, 2001, a Boeing 727 overran the runway at Asmara in Eritrea, and the main landing gear failed after the aircraft crashed into a large block of concrete. With respect to meeting international standards, the two most prominent rating authorities are the FAA in the US and the European Commission. The FAA's International Aviation Safety Assessments (IASA) Program categorizes countries rather than airlines, but in their latest published summary from December 2008 did not rate Yemen, where Yemenia Airlines is based. Yemenia does not have any direct flights to or from the US. The European Commission restricts individual airlines or even individual aircraft, but their "blacklist" of airlines from April 2008 did not include Yemenia Airlines. According to French Transport Minister Dominique Bussereau, the aircraft involved in today's crash had been inspected by French authorities in 2007 and a number of unspecified issues were found during that inspection. The aircraft had not been flown to or from France since then. Also, in February 2009, the European Union had suspended permission for Yemenia to service EU-registered aircraft the airline had failed a set of audit inspections. The aircraft has been in service since 1978 and has been involved in seven previous plane crashes that involved passenger fatalities. The most recent one was a June 2008 crash of a Sudan Airways A310-300 in Khartoum, Sudan. According to AirFleets.net, about 255 aircraft were produced, and about 190 remain in service. By far the largest current operator in world is FedEx, with about 62 aircraft in service.